One of our stunning three stone diamond rings featuring oval and round brilliant cut diamonds. The Danielle design, dazzles with a combination of Oval and Round Brilliant cut Diamonds. Set with a central Oval Diamond, this exquisite Engagement Ring features smaller Round Brilliant cut outer Diamonds. Choose your total carat weight from the above drop-down menu. 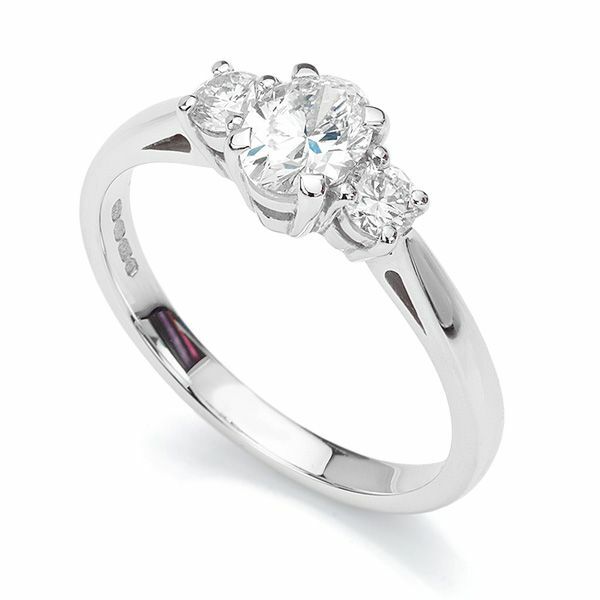 We have the following carat weight choices, allowing full personalisation of the elegant three stone ring design. 0.50cts - 5x3mm Oval and 2 x 3mm rounds. 0.70cts - 6x4mm Oval and 2 x 3mm rounds. 1.00cts - 7x5mm Oval and 2 x 3.5mm rounds (shown below). 1.75cts - 9x7mm Oval and 2 x 4.5mm rounds. 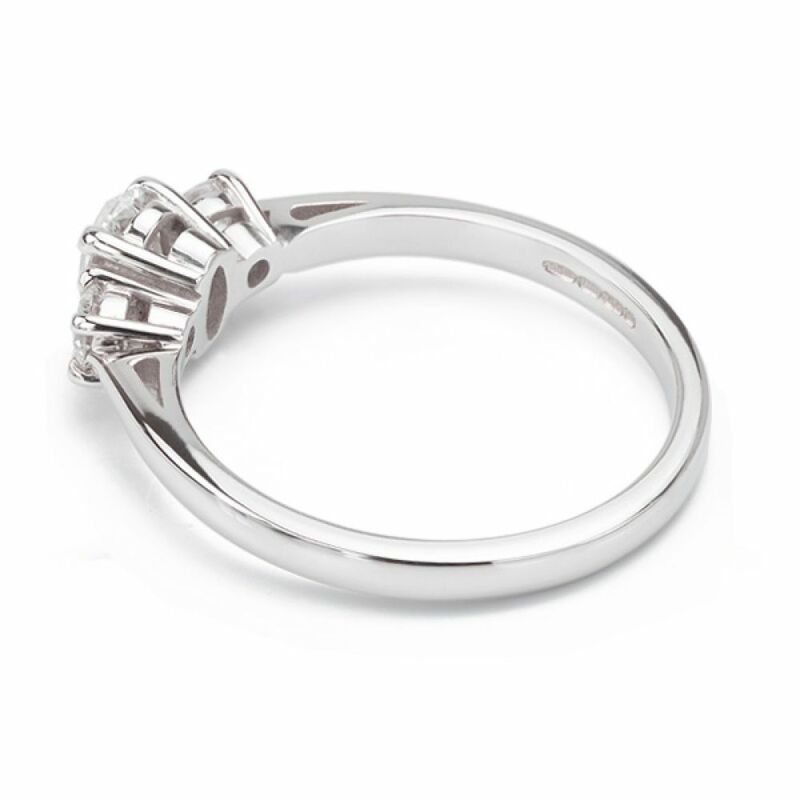 Styled with a court shaped band, this design benefits from a comfort fit with tapering open shoulders, rising towards a secure claw setting. Each design is crafted to order from a choice of precious metals including 18ct Fairtrade Gold. Or choose luxurious 950 Platinum. Please allow 4 weeks for us to create this design which can be delivered to many countries worldwide, beautifully presented as shown. The Danielle, engagement ring design, features an Oval diamond with round brilliant cut diamonds. Shown here in the 1 carat version. Danielle - R3D017. Oval & Round Diamond 3 Stone Ring. Created In 18ct White Gold. Product : My fiancé is over the moon with the quality and the look of the ring, everything she wanted and more! Service rating : Very helpful. Product: Exactly what I wanted.